4. In most companies you have a hierarchy. The top man cannot go to the grade 4 workers and directly deal with them when there is a supervisor in-between. The supervisor will feel sidelined. You have to respect the hierarchy and at the same time keep a line of communication all the way down. This is the real skill in human development, nobody should feel that you are overriding them or disempowering them, at the same time you are keeping the line of communication channels clear so that corruption can be handled better. Any untoward bitterness that may be coming up because of one or two elements here and there can be kept in check. This skill the top management should have. Do you see what I am saying? Once in a while the top management should have access to people all the way down while maintaining the dignity of all the other in-between layers. Now if the top management directly goes to the bottom in line, it will be like a bull in a china shop. You will disturb everybody else and people in the middle will think that you don’t trust them and there will be a huge uproar. This is what is happening in many places where the people at the bottom don’t trust their supervisors and say that they will talk to the MD directly. So the whole thing can become chaotic if you don’t handle this very skillfully. For that the top management needs to improve their own skills and learn to respect the hierarchy in an organization and yet be able to inspire the ground level workers. For this you have to spend time by yourselves to sit and think how you can do this. There are possibilities and skills that one can learn to get to that. One more thing that clouds our progress is insecurity in the middle management. In order to gain the confidence of the boss, the middle management many times cooks up stories and tells the boss, 'See I have done this and that', and this sometimes boomerangs on them. Big factories get shut down by this sort of attitude. They may try to prove what they have cooked up and at times, it may not even be cooked up, it may just be perceived by them in that way. Their perception may be very erroneous. Once they have taken a stand, they will not reverse their perception. They refuse to see the fact the way they are and this has caused huge national loss, not just in this country but all over the world. So the middle management needs to get out of insecurity and have to see that their role can make or break any institution. If middle management is good there will hardly be any labor problems. Most of the labor problems are caused due to lack of communication and because of a lack of sense of belongingness. So if you look at all these, it all comes down to our mental alertness, physical fitness, emotional bonding and spiritual elevation. These four aspects in life applies to us as individuals and also applies to the top management, middle management and work force. 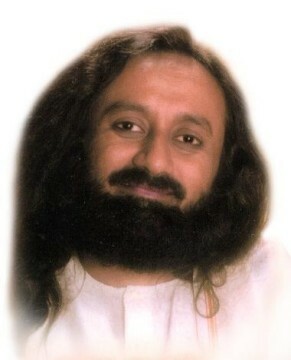 Gurudev, I am a Chartered Accountant and I go to the premises of many businessmen. I have noticed that when we treat them as family members they start taking advantage of that privilege. How to come out of that situation? Yes, you need some skill here. You must create a sense of togetherness and belongingness but don’t let anyone take advantage of it. That is a skill. You must not get carried away with your emotions but must use your intellect too. Don’t become so gullible that people take advantage of you, nor must you be so strict and inflexible that people feel suffocated in your presence. Just like a string instrument plays only when the tension in the strings are perfect, similarly, you must maintain a perfect balance between your emotions and intellect. We are plagued with corruption, unhygienic conditions and unethical behavior. They are all inter-related and the problem is because there is so much acceptance of corruption and corrupt practices. How do you think we can break this vicious cycle? Hope that the new setup and new Government will take more stringent action. See, for corruption you need to educate people on various levels. 1. From the level of the people. The reason people brought a change in the Government is because they wanted a more scam free, corruption free Government. Keeping that aside, to fight corruption as an individual or as an SME, maybe very difficult, but if you are all united, then as a forum, you can do it. Just like labor unions. One laborer cannot fight with any factory, but when they get into a labor union then they can challenge any big company. In the same way, CRF or MSM can form a platform to take up the problem of corruption. You can have a cell where people can come and take steps to counter corruption. That would be good. If nothing works, come to us. The Art of Living is there to help. Our volunteers will go to the authorities and ask them to do the work without taking bribes. It is very difficult to be an entrepreneur and even more difficult to be a woman entrepreneur. Could you please give me some advice on how women can achieve a balance between work and family life? Do you know how to ride a bicycle? Exactly the same way! Don’t think it is difficult for a woman to be a small scale entrepreneur, no! Take it as a challenge. You have the energy, potential and providence to take up the challenge. When you think it as difficult then you make it difficult. Subconsciously you create that energy when you think it is so difficult. You should somehow eliminate this word difficult from your dictionary and you should see it as challenges. A challenge will bring out the skill and potential from within you. Challenges are there to bring out the best in you, and there is plenty of scope for woman entrepreneurs. Respected Gurudev, what advice would you like to give to SME business promoters when it comes to the way they manage their human resources. Yes, make them your family. 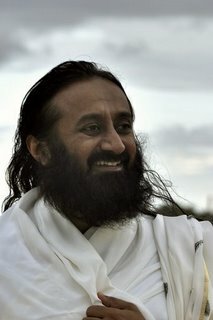 In this country we say, 'Vasudaiva Kutumbakam', the whole world is our family. So even if you can’t see all seven billion people in this country as your family, at least treat the few hundred workers in your factory as your family and raise a cordial atmosphere. It is possible to do that. 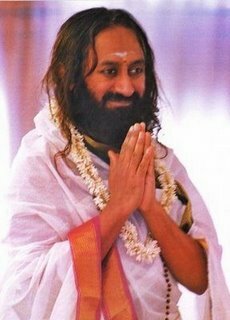 Gurudev, I am a vegetarian but I found an opportunity in fish farming. However there is always a conflict in my mind regarding the spiritual consideration of fish farming and using it for food. What do I do? If your conscience says no, then listen to your conscience. You must follow the voice that arises within you. If this has been your occupation for many generations and you do not feel any conflict, then it is okay. But if your conscience pricks you, then you have to follow your conscience. How do we get rid of the fear of the unknown? Turn back and see, is this fear a new thing? Is it coming to you only now or has it been there in the past also? And how is it that you are still alive. The best way to overcome fear is to look at your own past experience. Turn back and looking at your own experience, you will realize that it was futile to have all these fears. Also to get rid of it, yoga and prayer is very good.